purefoods blue line | Badudets Everything Nice! Food is ALWAYS a part of our lives. We eat because food is a necessity, but also to satisfy our cravings in whatever situation we are in. When we’re happy and there’s a celebration, we indulge in a feast; when we’re sad, we just eat our worries away; and when we’re bored, we still eat. Food makes everything better, especially if it’s your comfort food. It’s like having a warm hug when you needed one. Food is not about impressing people. It is about making them feel comfortable. 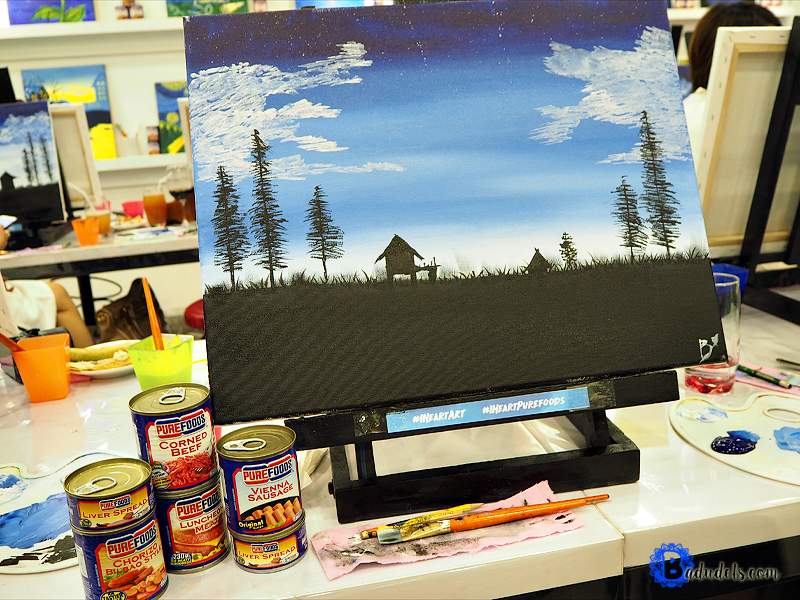 This is how I felt during our painting sesh one afternoon at Sip and Gogh in Kapitolyo. This is actually my first time to paint, I was nervous that I won’t be able to even blend the colors. But as the afternoon progressed, I realized that blending colors and dabbing the paintbrush on the canvass is so therapeutic and puts me in a zen mode. 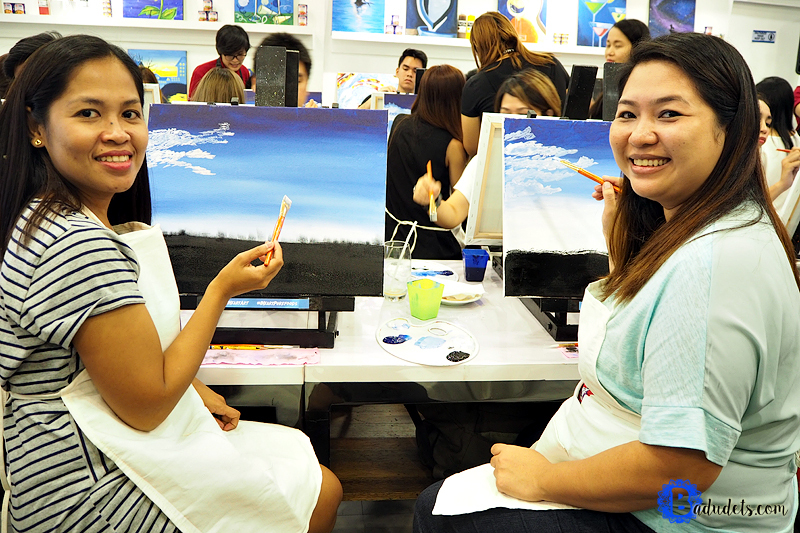 Painting plus chikahan with my kumare Peachy is one fun afternoon! The atmosphere was so comforting and encouraging, everybody was in a cheerful mode. 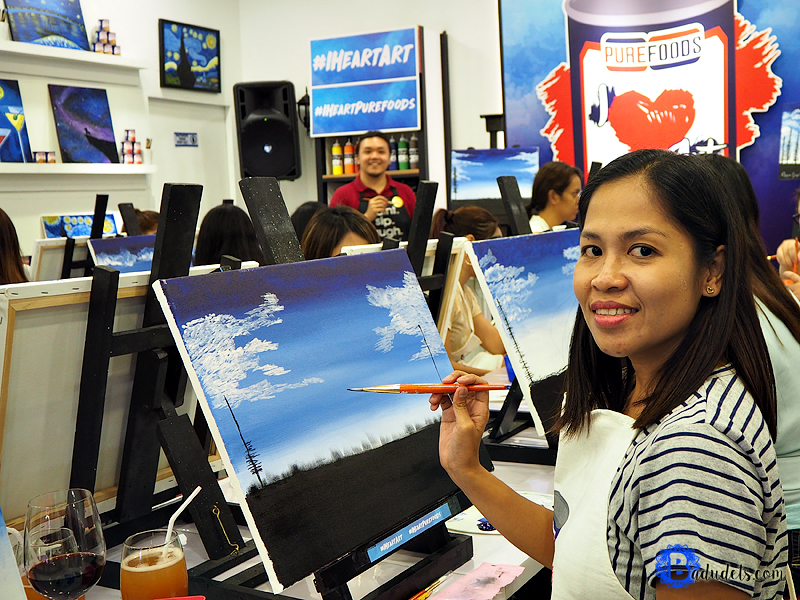 I think having all the Purefoods Blue Line dishes specially prepared that afternoon made our tummies satisfied hence fueled our creative minds. 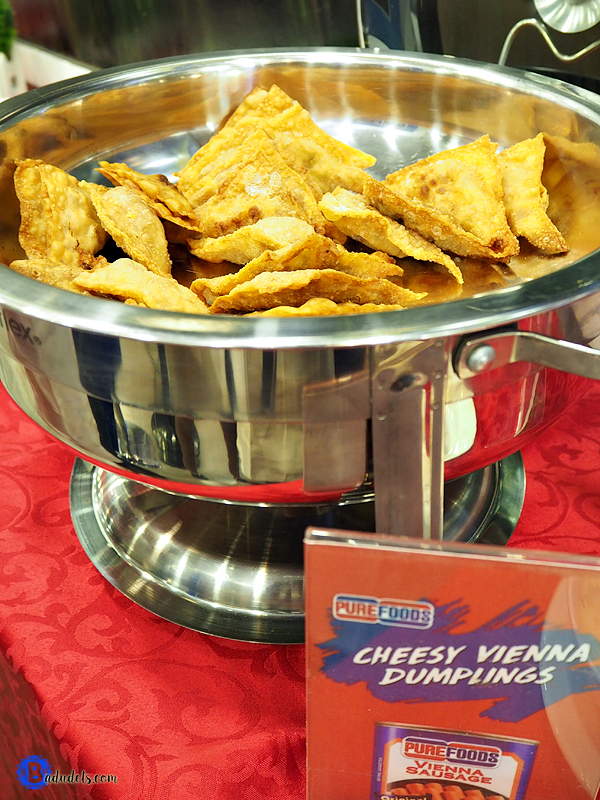 Some of the snacks prepared for us that afternoon were Quesadillas made with Purefoods Corned Beef, Purefoods Luncheon Meat Chili Cheese Spring Rolls, and Cheesy Vienna Dumplings. 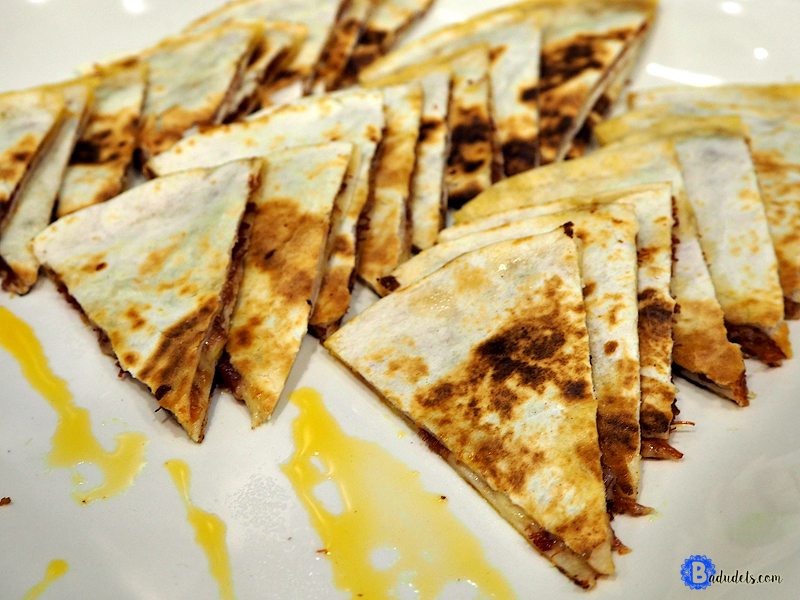 I actually made the quesadillas at home for our breakfast. 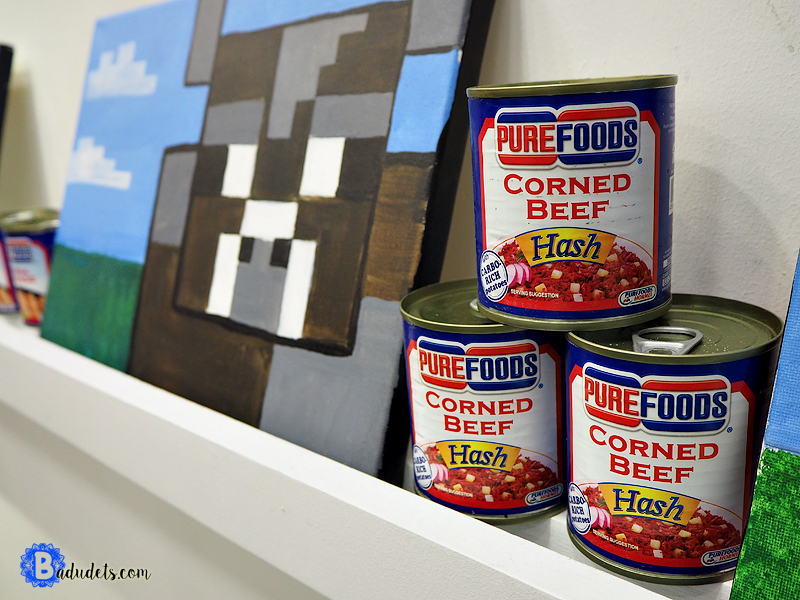 I love Purefoods Corned Beef because of the meatier bite it gives, and it’s seasoned perfectly. 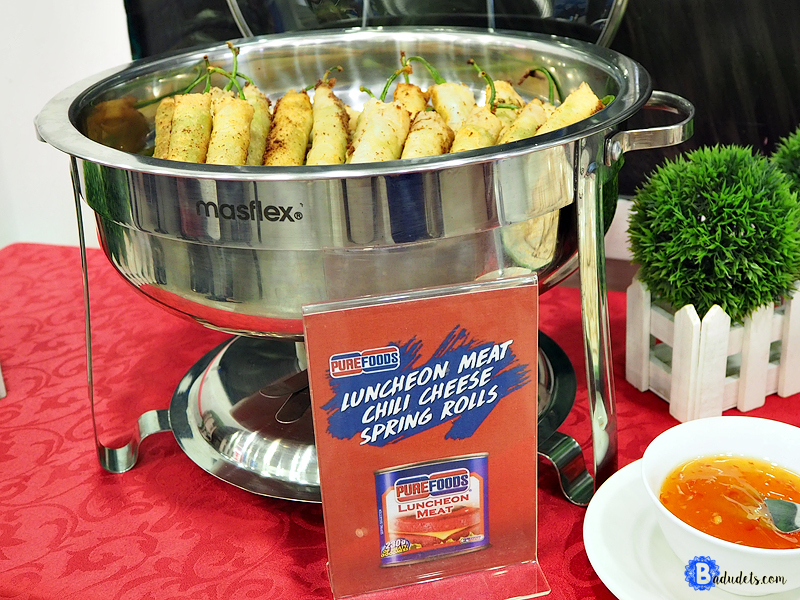 I also discovered other Purefoods Blue Line variants aside from the Corned Beef (Classic, Chili Garlic, and Hash) through the dishes that were served. These were Luncheon Meat, Chorizo Bilbao, Vienna Sausage and Liver Spread. Any recipe that calls for ground meat can be replaced with any Purefoods Blue Line products, I swear, your dishes will taste better and will make your prep time shorter too. 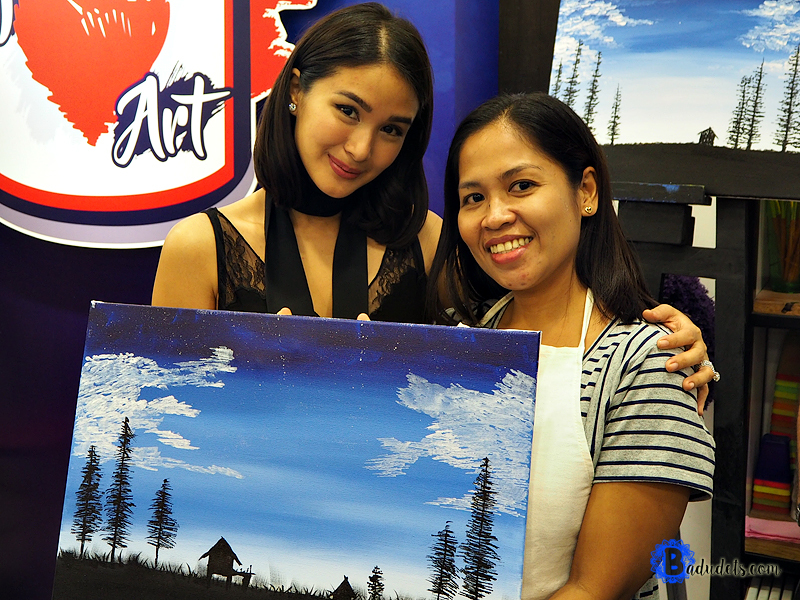 The afternoon got even more exciting because Heart Evangelista graced the event and shared stories about anything and everything we asked her, including her favorite Purefoods Blue Line products. 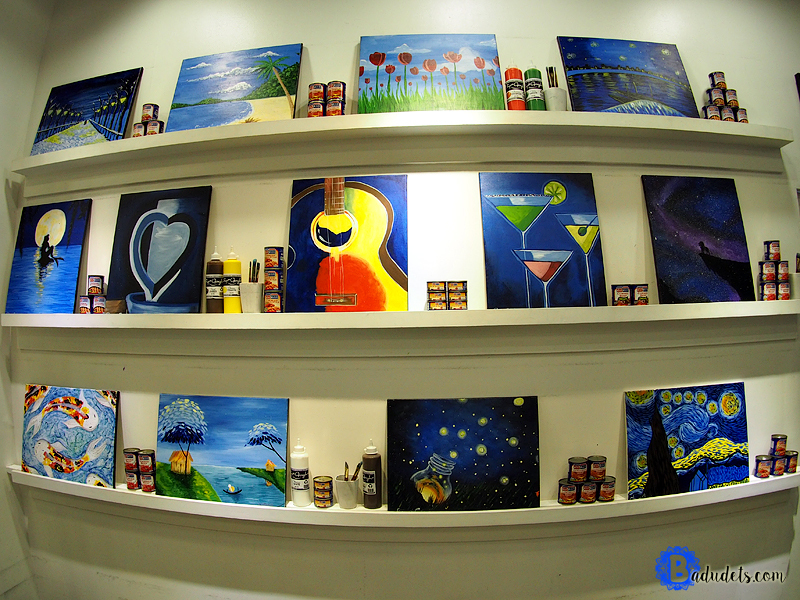 She gamely showed her artistic side by adding her touch in Camille of The Soshal Network’s canvas. And here’s my finished piece, Heart approves! Heart E. is pretty, charming, accommodating, and very down-to-earth. I became an instant fan! At first, I was unsure of myself if I can pull it through. But with some very basic techniques, I was able to create my own art. Thanks to Purefoods for reminding me that life need not be complicated, that I can make something out of the ordinary and turn it into something special. Sometimes, the simplest things in life are the ones that bring comfort the most. For more info, visit Purefoods Blue Line on Facebook.